Far Cry New Dawn is a full-on improvement of the Far Cry 5 formula, adding quality of life improvements to match the stunning Hope County. It has been about a week since I’ve sunken my teeth into the initial hours of Far Cry New Dawn, the latest game in the storied survivalist FPS series. The game was able to subvert my expectations, even keeping some other terrific spin-off releases in mind. 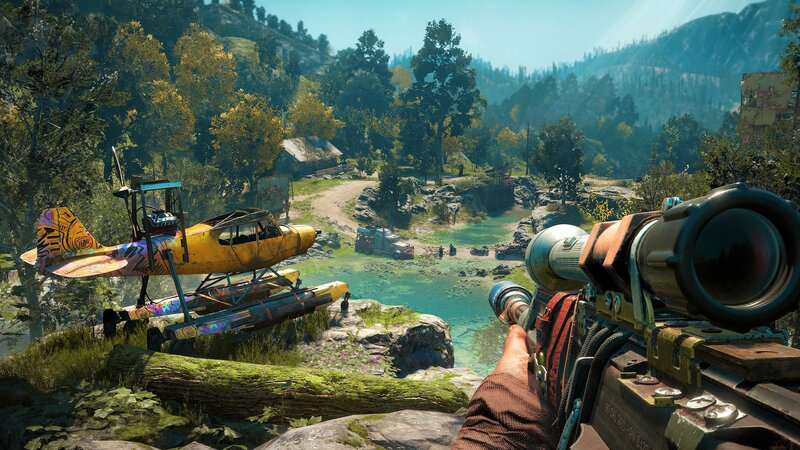 While I doubt this will convert non-believers into the Far Cry flock, New Dawn is packed with quality of life improvements that can evolve the series into something better. If you missed the game’s announcement trailer from The Game Awards 2018, New Dawn (previously Project Bowmore) occurs after the canon post-apocalyptic ending of Far Cry 5. Seventeen years later, the (atomic) dust has settled, friends and foe alike emerge from their nuclear bunker, and Hope County begins to rebuild in a settlement known as Salvation. While things are peaceful for a moment, the calm can never last. A roaming band of marauders–known as the Highwaymen–led by the twins Mickey and Lou intend on scavaging the peaceful commune for resources and burning anything not needed. In a cry for help, Nick Rye’s daughter (now an adult) searches for your help. The character-created protagonist is known to work with a group that has a history and track-record of establishing peace and order through the post-apocalyptic waste. The set up to New Dawn is a grand way to start the second of half of the saga, and offers a more solid plotline than the controversial and loosely-told story of Far Cry 5. From the onset, the stakes feel less contrived — the lack of backup support, the solitude of the wilderness, and the stakes just make more sense. 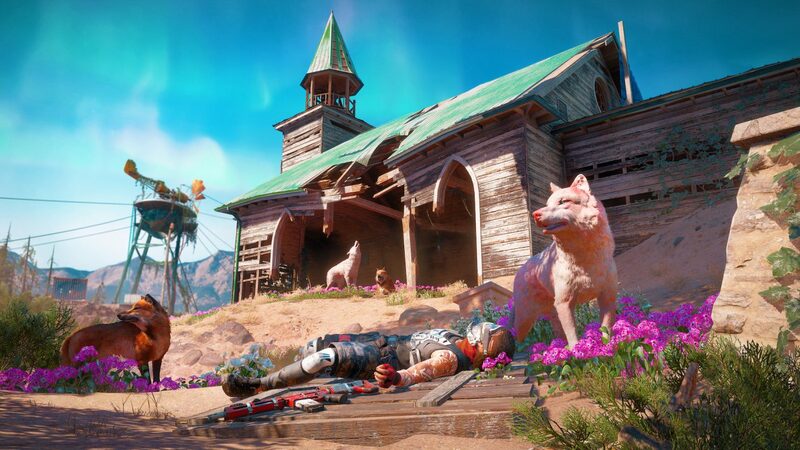 If you felt a lack of motivation in the last game, or had issues reconciling why the government hadn’t sent in the National Gaurd, Far Cry New Dawn has a more natural story to follow. 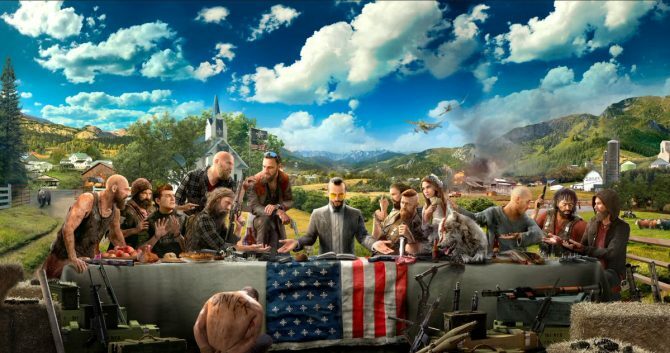 Far Cry 5 didn’t quite have the impact that Ubisoft was hoping it would — the game faced above-average (but not stellar) reviews from critics, was snubbed during Game of the Year season, and the multiplayer sections were near-universally abandoned. And despite how much I enjoyed my time with the game, I have always been able to see the cracks in the pavement. Far Cry 5 refocused a lot of the traditional Far Cry formula, offering a more natural setting and much less UI interference. As a result, we managed to get both a pretty and immersive experience… but not necessarily one that speaks to the intense action of the series. That is where Far Cry New Dawn makes its most significant strides. First off, it’s worth clarifying that Far Cry New Dawn feels like a half-way point before an entirely new game and an expansion (not a DLC). On one hand, it appears less holistic series changes went into the game than Primal (the half-step sequel to Far Cry 4), but the game feels far more substantial to the Lost on Mars and other DLC. But that isn’t to say it isn’t a significant improvement at a competitive price. Despite working in the same engine, Far Cry New Dawn introduces RPG-lite elements to add diversity that was missing in the series so far. For instance, while all guns in Far Cry 5 felt marginally different (with most people keeping their same weapons from the beginning until end-game), New Dawn advances those mechanics. 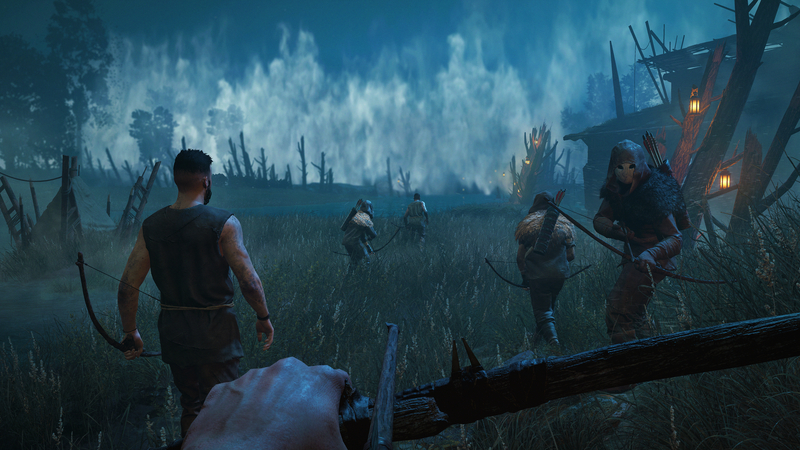 Through building out your home camp and various outposts, along with upgrading workbenches, you will be able to craft weapons that can pack more of a punch. Far Cry New Dawn introduces RPG-lite elements to add diversity that was missing in the series so far. Of course, weapon variety is useless without a threat that necessitates those weapons. 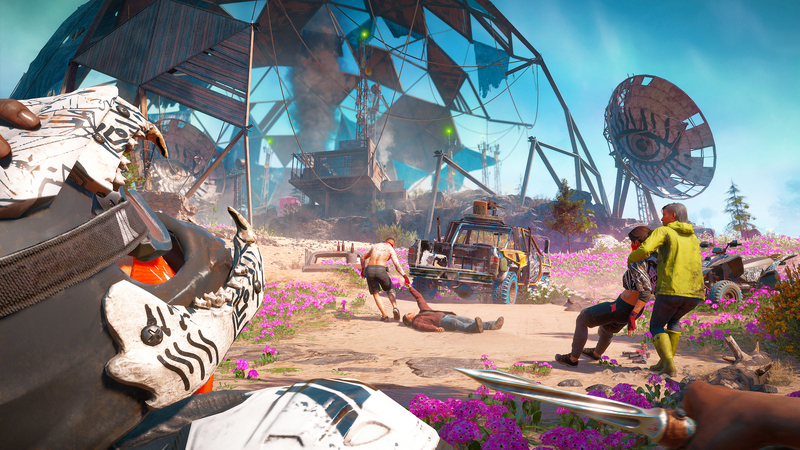 Though Far Cry usually has enemies of varying difficulties depending on the armor they don, Far Cry New Dawn is explicitly adding level-based elements. Shooting a Level 3 enemy with a Level 1 shotgun is going to do a lot less damage than a Level 3 shotgun on a Level 1 enemy. With this move alone, one of the more meaningful criticisms of Far Cry 5 — a lack of power progression — is solved in one fell swoop. On the other end, Far Cry New Dawn is just a more pretty and exciting world to get lost in. While the pre-apocalyptic Hope County was stunning and nearing photo-realism, it was… samey? Though it was undoubtedly true-to-form for rural areas of America, that didn’t make it a visually exciting game to comb through. There are only so many farms, vaguely wooded areas, and abandoned houses I’m willing to comb through before I stop exploring for fun. However, my two hours with post-apocalyptic Hope County were anything but boring — landscapes that were previously uniform have been transformed after the nuclear fallout. You can find neon-kissed wooden areas, barren desert-like settings, fog-soaked islands, and general decay — I had as much fun exploring the scenery as I did taking down outposts. Animals exist, but have evolved to something more interesting. Bright yellow hares run across the road as you chase down beautiful white stags. In hindsight, it feels like Far Cry 5 was only the set-up for a more polished, diverse, and exciting experience to be found in Far Cry New Dawn. …it feels like Far Cry 5 was only the set-up for a more polished, diverse, and exciting experience to be found in Far Cry New Dawn. While I spent a vast chunk of my time exploring, hunting down the Father and his remaining cult members, and upgrading, I didn’t explore the storyline or the new and recurring characters. While I’d love to put a rubber stamp on Cara Ricketts and Leslie Miller’s performances of the Twins, Mickey and Lou (respectively), I didn’t hear or see too much past the occasional chirping over the radio. 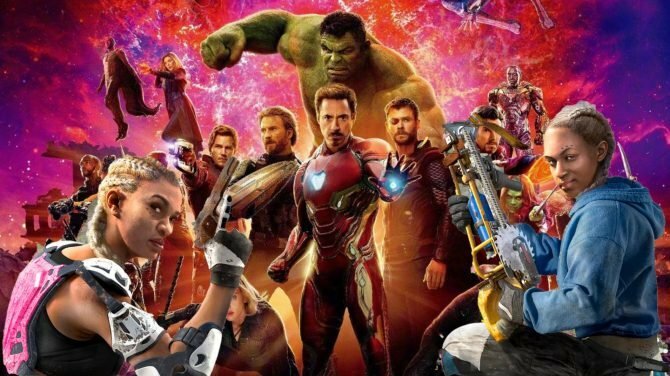 With that said, it seems that both Ricketts and Miller are confident that they can keep breathing life into the series that is notably colored by the villains. Ubisoft took those hints, and already included a gameplay objective to doing this. Using photographs, you will have to track down and compare photos of Hope County to the new, more desolate version of the landscape. Alongside tie-ins to characters and sequences from the first game, it looks like Ubisoft is positioning to help give the events and world of Far Cry 5 more clarity in the follow-up release. More notable changes include tweaks to replayability, principally the ability to re-outposts. The options existed in previous games, but Far Cry New Dawn gives both an objective and a challenge to it — letting the enemies re-take their outposts will allow them to stock it up with new goodies for you to loot, including craftable materials for worldbuilding. However, it will also get increasingly difficult with each repetition. So the rewards come with risks… and that is perfect. Instead of playing to play, you are participating in a pre-designed harder mode that helps sidestep microtransactions (which I did notice again in the main menu). Far Cry New Dawn’s gameplay loop feels very much the same in terms of other Far Cry games, for better or worse. Other than that, Far Cry New Dawn’s gameplay loop feels very much the same in terms of other Far Cry games, for better or worse. I don’t think that New Dawn is looking to revolutionize gaming or the series (nor should it have to), and thankfully is hitting at a discounted price ($40) from a normal retail release. Even still, it remains one of the best modern collect-a-thons / mayhem generator in the gaming market, and is an easy pickup for anyone looking for a more formulaic Spring game. Meanwhile, if you haven’t been able to get into the Far Cry formula or mechanics, I don’t think the quality of life improvements are going to be able to change your mind. Far Cry New Dawn may seem like more of the same hidden under a bold paint job, but there are savvy quality of life changes and deeper lore building that shouldn’t be ignored, and hopefully make it into Far Cry 6. If you are a recurring Far Cry fan or simply like having the game ready to go with friends, don’t pass up on New Dawn. Far Cry New Dawn is coming to PC, PS4, and Xbox One on February 15, 2019; you can pre-order the game now on Amazon for $39.99. What is Project Bowmore, and is it even real? 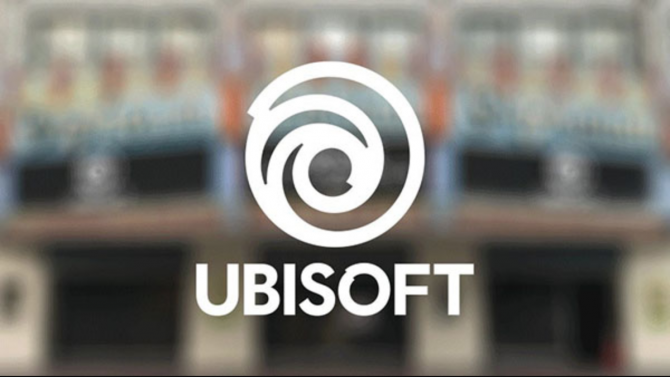 Latest leaks may point to multiple upcoming unannounced Ubisoft projects for PC, PS4 and Xbox One.